Goa is mostly famous for its stunning beaches but there is also a side to it offering great historic and cultural interest. We will find it in Old Goa where we can admire the beautiful Basilica of Bom Jesus, declared a UNESCO World Heritage Site, and in the capital, Panjim, which still retains traces of Portuguese architecture. Our excursion to the old part of Goa starts with a visit to the Shantadurga Hindu temple, which gives off a serene aura with its brown, white and peach exterior. 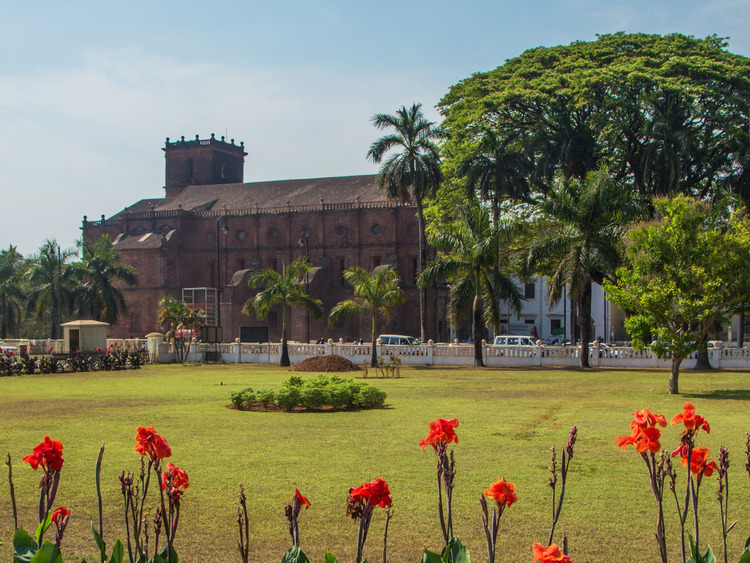 Then we will visit two churches: firstly, Se Cathedral, which is dedicated to Saint Catherine and is one of the largest in the city, secondly, the Basilica of Bom Jesus, which was built by the Jesuits in the 16th century and is home to the remains of Saint Francis Xavier. These are kept in a marble mausoleum and displayed to the public once every ten years. After we have visited the churches, we enjoy a pleasant stroll through the Latin quarter of Fontainhas  with its distinctively Portuguese charm  where we can admire the church and the old Portuguese-style houses. Finally, we head to the capital Panjim, where we can admire the old houses with the pretty balconies and blinds so typical of Portuguese Goa. We can also enjoy some free time to do some shopping there before returning to the ship. This excursion is not recommended to guests with mobility problems.